Electroneum (ETN) has seen its price soar over the last seven days (Tuesday 18th September to Monday 24th September), following the beta launch of its cryptocurrency instant payment system. The mobile-based cryptocurrency’s coin price rose from $ 0.00514 (market opening, Tuesday 18th September) to $0.011938 (market closing, Monday 24th September), according to figures from coinmarketcap.com – a weekly gain of 132 percent. Electroneum’s coin price hit an intra-week high of $0.016818 (07:14, Sunday 23rd September), giving it a market cap of $133,788,632 and moving it back into the top 100 cryptocurrencies, where it currently sits in 58th position. Electroneum’s CEO and Founder Richard Ells attributes increased market trade, which exceeded £12.5m USD, to the news that beta-testing had started for ETN’s cryptocurrency instant payment system. “The activity in the market over the last week shows that the world is waking up to ETN,” he said. “We have a tangible cryptocurrency product in beta-testing that enables easy integration and use in the real world – and that is what’s exciting the market. Electroneum’s Instant Payment API allows users to pay for items in shops or stores in ETN instantly from a mobile phone, tablet or computer. The software entered beta-testing on 12th September, and vendors from across the world have rushed to integrate it into their shops and stores. “The response to our Instant Payment Beta Test has been incredible,” Ells continues. “We’ve seen plug-ins developed for WooCommerce and Magento (two of the world’s largest e-commerce sites) and we’ve been sent videos of it being integrated into the Point of Sale Systems used by some of Egypt’s largest retailers. “This proves ETN Instant Payment could be integrated anywhere in the world – something I always knew was possible, but I’m delighted to see confirmed. Electroneum launched its Instant Payment beta-test following the news that it would require its two million users to complete its Know Your Customer (KYC) process. 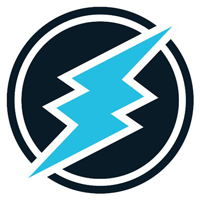 For more information about Electroneum, visit Electroneum.com.